Ideal for monitoring a patient that leaves their chair, the Chair Mat for the Rondish Wireless Rise Alarm is incredibly easy to use. 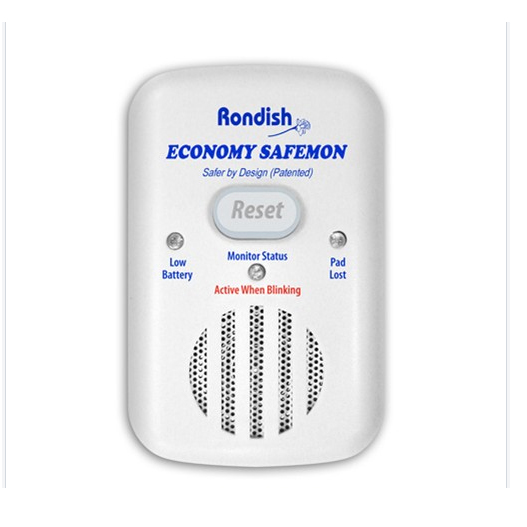 The Chair Mat for the Rondish Wireless Bed and Chair Leaving Alarm is a chair mat for the Rondish Wireless Rise Alarm System Kit. It enables you to be notified if someone leaves their chair, and is ideal for looking after elderly or infirm people. 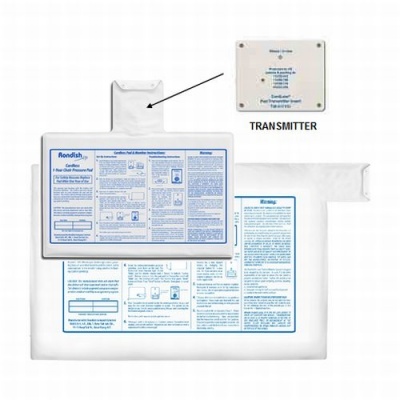 Because it's wireless, the chair mat is ideal for use with individuals with behavioral problems who have a tendency to damage or break equipment. The mat can be placed in their room while they are out, and because there's no leads to the alarm unit they won't know it's there. 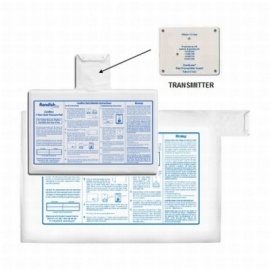 The mat features a hidden pocket which holds the transmitter unit. The transmitter unit transmits to the main alarm unit, which alerts if someone leaves their chair. The mat is designed to be placed either above or below the seat cushion, depending on the weight the mat can pick up underneath the cushion. It's slim design means that it can't be noticed, and because there's no wires there's a hugely reduced risk of accidents. Triggers an alarm when the patient rises from their chair. Sends signal to cordless alarm to confirm patient in chair. Cordless alarm “In Use” LED blinks to confirm. Sends signal to cordless alarm to warn of sensor pad transmitter battery low. Sends polling signal to cordless alarm to confirm connection of radio signal between transmitter and cordless alarm. The size of the mat is 375mm x 250mm and also includes a transmitter. The Chair Mat can be sterilised with 1000ppm sodium hypochlorite or alcohol wipes. 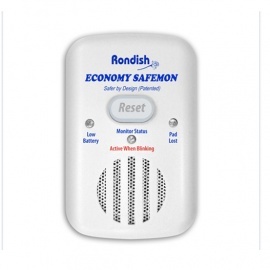 Please note that while the pack includes a mat and transmitter, it does not include a Rondish Alarm for the Wireless Alarm System, which is available separately. A Cordless Bed Mat to work with the leaving alarm to alert a carer to movement. With no wires, there is no trip hazard and the mat can be used very discreetly.